Grand Mercure Singapore Roxy staycation – Giveaway coming up! 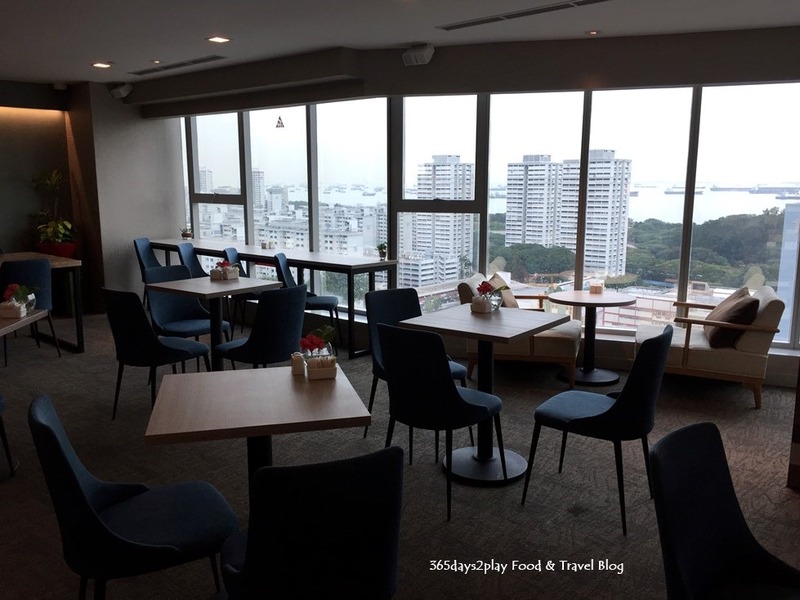 As mentioned in my previous Breez Bistro Bar article, most hotels are located in the shopping or business districts of Singapore, but once in a while, you find a hotel located in the “suburbs”. 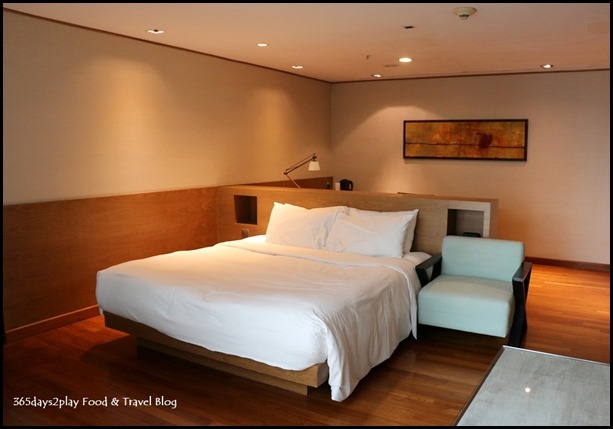 One such hotel is Grand Mercure Singapore Roxy. The Katong neighbourhood is no ordinary neighbourhood, it boasts a long Peranakan history of which I shall not delve into in this article. We had the pleasure of staying at Grand Mercure Singapore Roxy in a Business Suite for one night to check out its facilities as well as food. 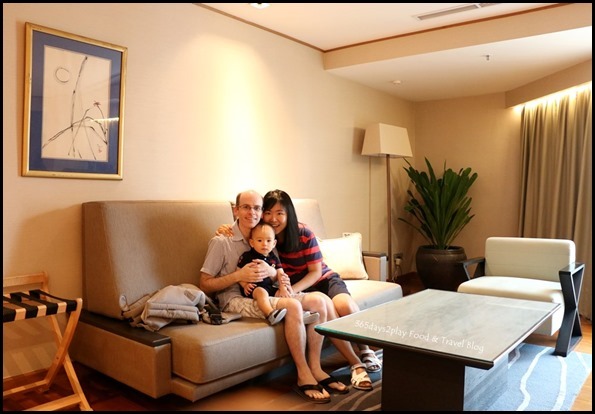 We also had access to the club lounge, which is always a treat as then there is really no need at all to step out of the hotel! 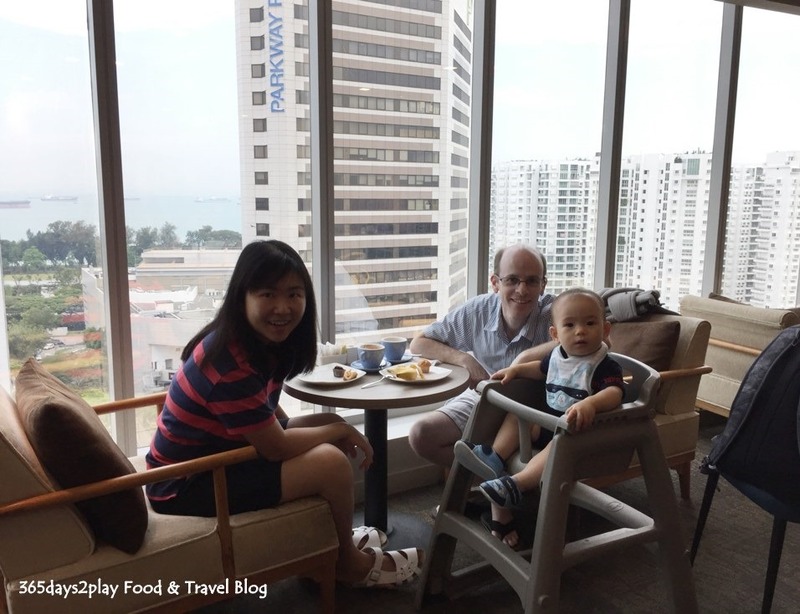 Scroll down to read more about our staycation at Grand Mercure Singapore Roxy as well as to see the pictures. Doesn’t it look like we’re in the living room of a house? 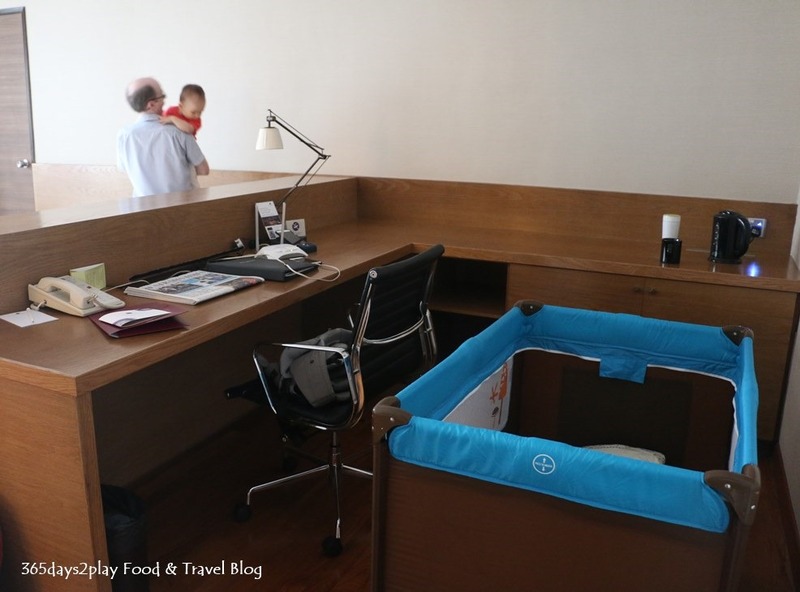 At 54 sqm, the woody Zen looking Business Suite sure is very spacious. Baby had a really fun time running around, exploring every corner and touching all the switches. He was most enthralled by the switch panel controlling the lights in the room. Of course we had to keep a close watch over him in case he knocked into any sharp edges. The room is so spacious, you could actually hold a small party in here for 10 people without any problem at all. 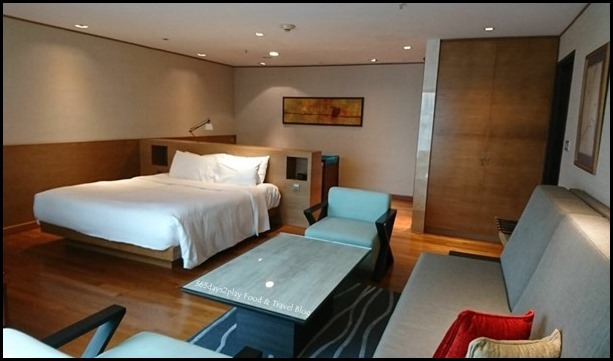 Check out the layout of the Business Suite here. This angle shows the spaciousness of the Business Suite room. Closer view of the king size bed. We had to shift the armchair over to block the switch panel so that Baby would quit playing with it! It’s called a Business Suite for good reason. 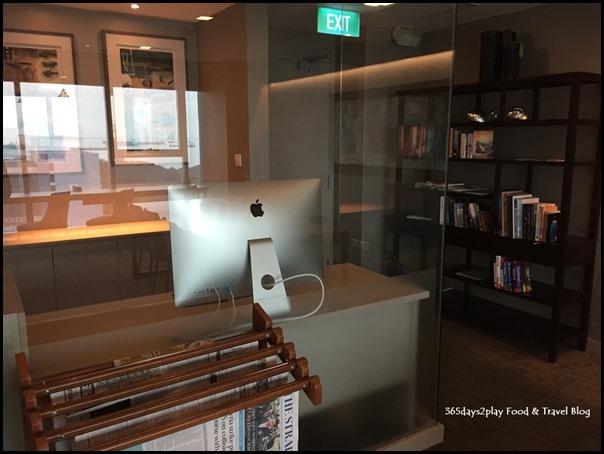 Aside from the more “business-like” decor (the Junior Suite and Studio Suite are carpeted and brighter tones), there is a huge L-shaped writing desk to take care of any business affairs. Or it could be used to hold the party food if you’re having a birthday celebration for example. So spacious, the baby crib could fit behind the business desk easily. Another view of the spacious sitting area. Please don’t mind the toddler in the picture. 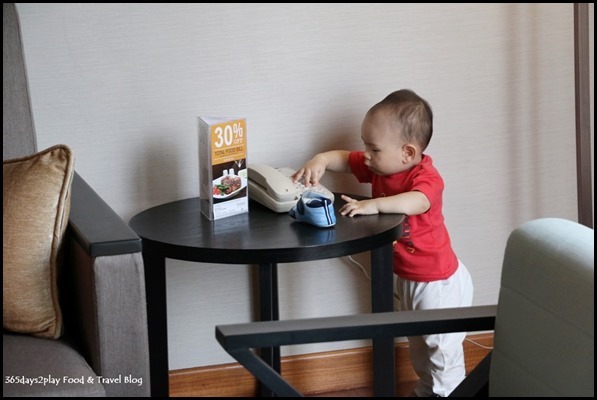 With the switch panel cordoned off, he decided to go fiddle with his next favourite thing, the telephone. Mr Cutie Pants caught in the act! And I don’t know why he has to go leaving his shoes all over the place. Baby, it’s Cinderella that leaves her shoe behind, not the Prince! Love the floor to ceiling windows giving us a view of the pool and Joo Chiat neighbourhood. Too bad it was a cloudy and rainy day. 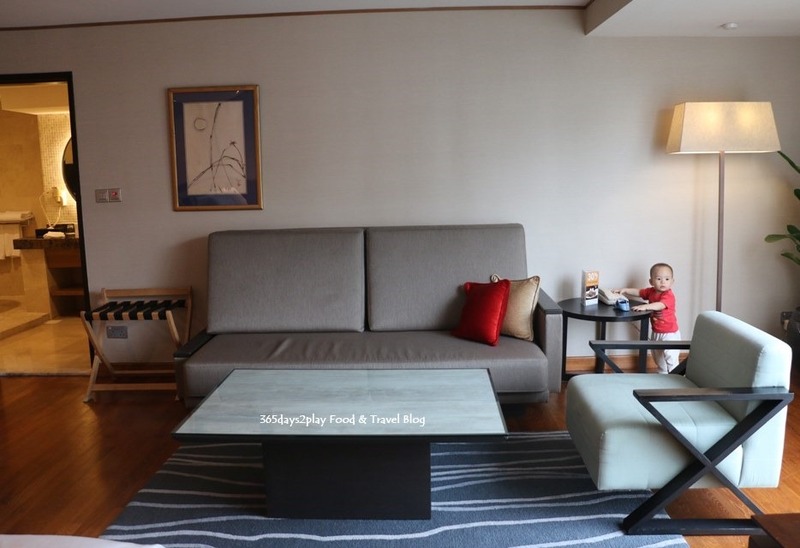 Somehow the wooden flooring makes the room feel more homely, as compared to carpet. 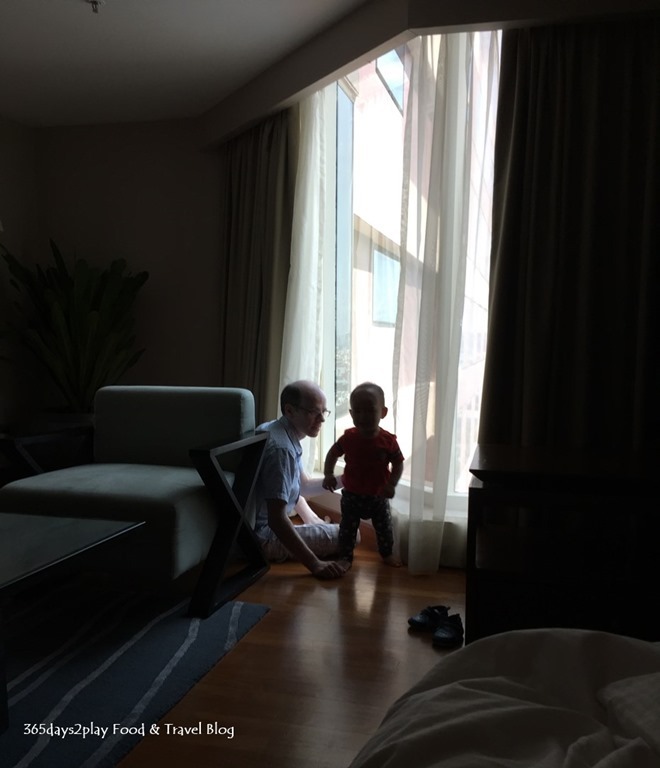 So homely that we were okay to sit on the floor to play. Wouldn’t think of sitting on the usual hotel carpet flooring, I don’t know, it just feels more dirty? Although both could be equally dirty……. 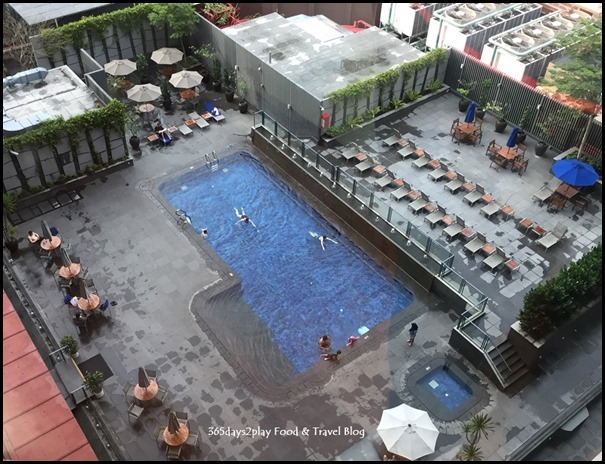 Speaking of pool, here’s a picture of the swimming pool taken from the 11th floor. Quite a decent sized pool, and possible to do laps too. I find it funny they have 2 rows of deck chairs specially just for people to sunbathe. See the 4 umbrellas at the top left of the picture? That’s the smoking area. 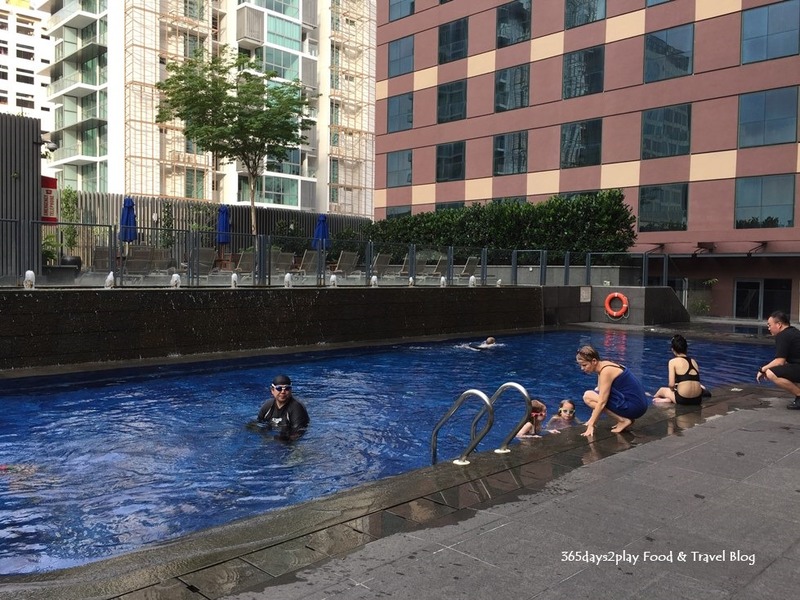 Be sure not to let the kids get too close to that area, especially if they’re swimming, lest they breathe in 2nd hand smoke. The bathroom for the Business Suite is correspondingly huge! 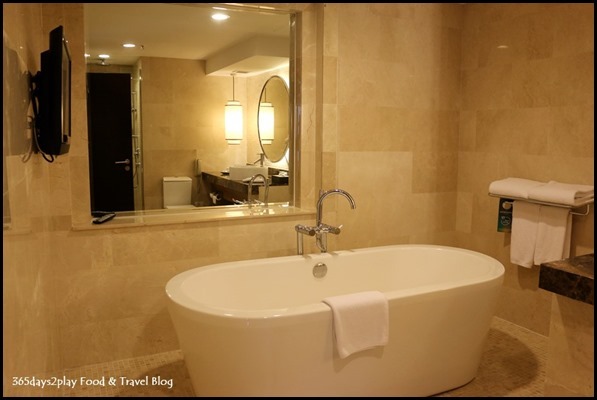 I love ultra large bathtubs because it’s like a private plunge pool in your own room, for Baby at least. We had a lot of fun splashing around in the bathtub and we could sit facing each other because it was so spacious! 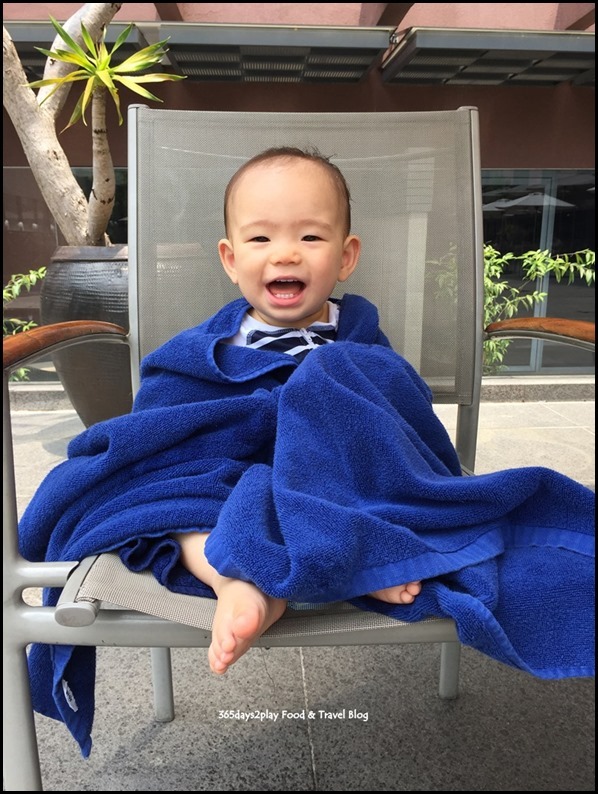 We had a dip at the hotel pool. It’s always one of the highlights of any staycation! I might have mentioned before that I love this baby float! It looks so solid, and costs only S$11 from Toys R Us (if I don’t remember wrongly)! Baby started laughing after he got out of the pool. Don’t tell me he peed in it??!? One of the benefits of getting a suite room is that you will get Executive Lounge access. For the uninitiated, the Executive Lounge aka Club Lounge is where you can hang out any time of the day with free flow of coffee/tea and some small snack items. For Grand Mercure, from 5.30pm – 8pm you can also enjoy evening cocktails, which means free alcohol like champagne and wine, and nibbles! 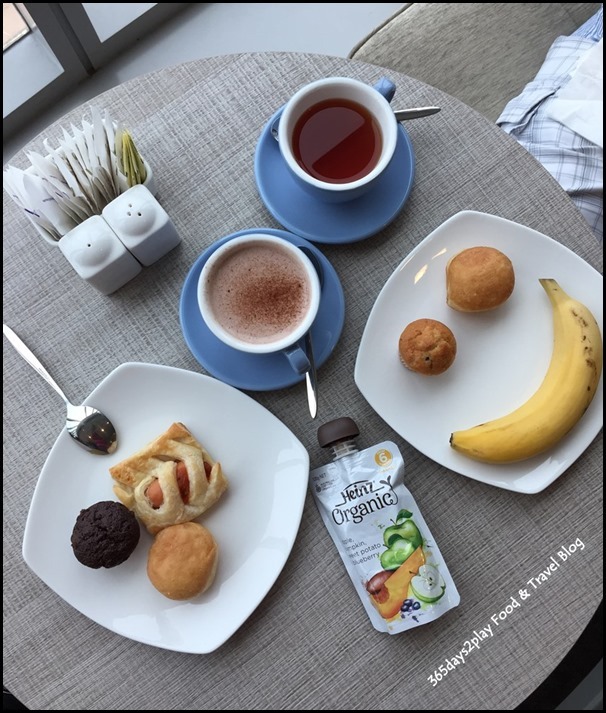 Some hotels also have an afternoon tea session where afternoon tea pastries are laid out. Unfortunately, we had to miss out on the bulk of the evening cocktail session as we were busy having dinner downstairs at Breez Bistro Bar. We did manage to come up at around 7.30pm to take a look and practically all the seats were taken up! I think the Executive Lounge has been tastefully furnished, I love the soothing blue and grey tones. It also has a bright and airy feel to it thanks to the full length windows on one side of the lounge. 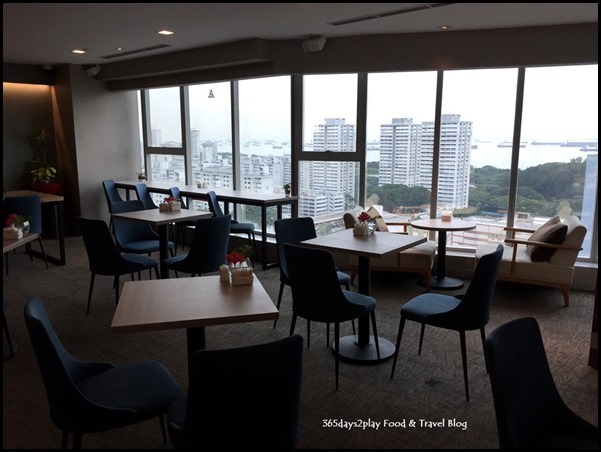 You can see practically the entire Marine Parade neighbourhood from the lounge, including Parkway Parade, East Coast Park and the sea! From this height, it sure looks like there are way more ships anchored out at sea than I had originally thought. Due to the construction of the Thomson-East Coast MRT line, there will be a slight hum from the construction site in front of the hotel. Nothing too terrible though since the club lounge is fully enclosed. Tea and coffee counter. Some juices area also available here. 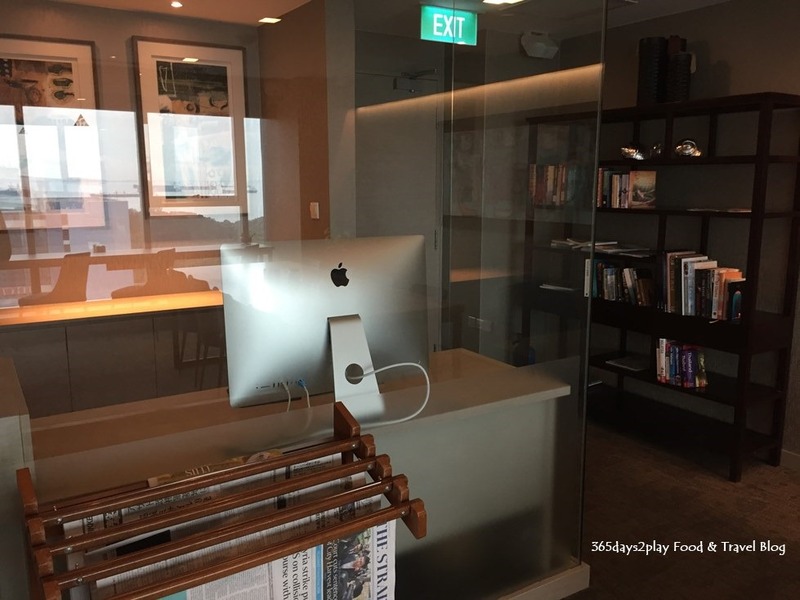 There is a small business area with newspapers, books and a computer for guests’ usage. 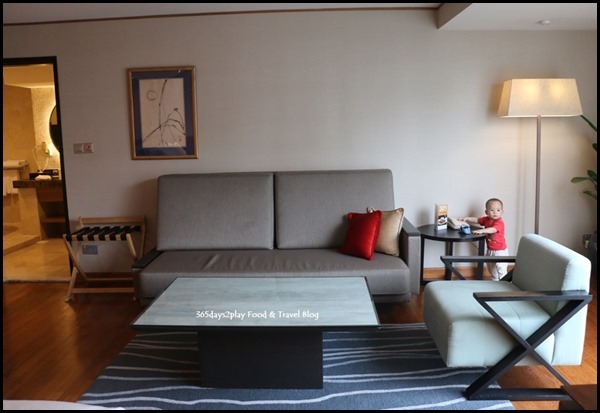 Baby had a great time running around the Executive Lounge (poor parents had to run after him constantly lest he bump into tables or disturb people). 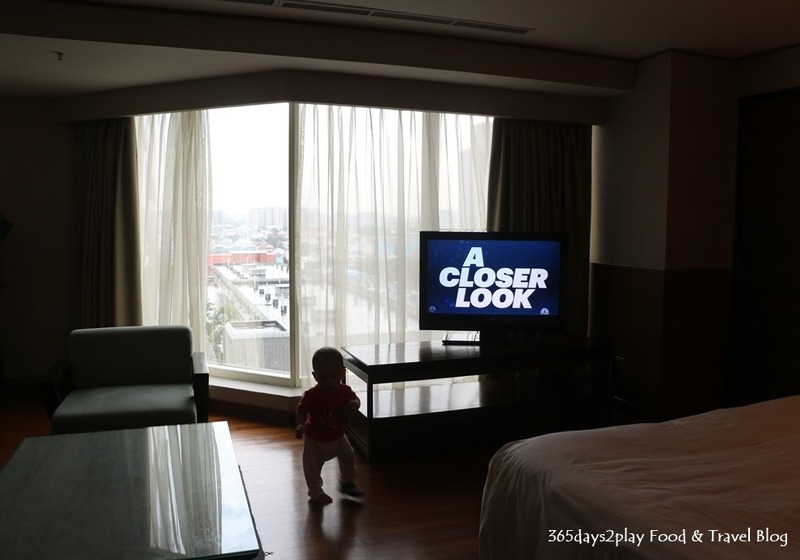 The floor to ceiling windows were great entertainment for him! 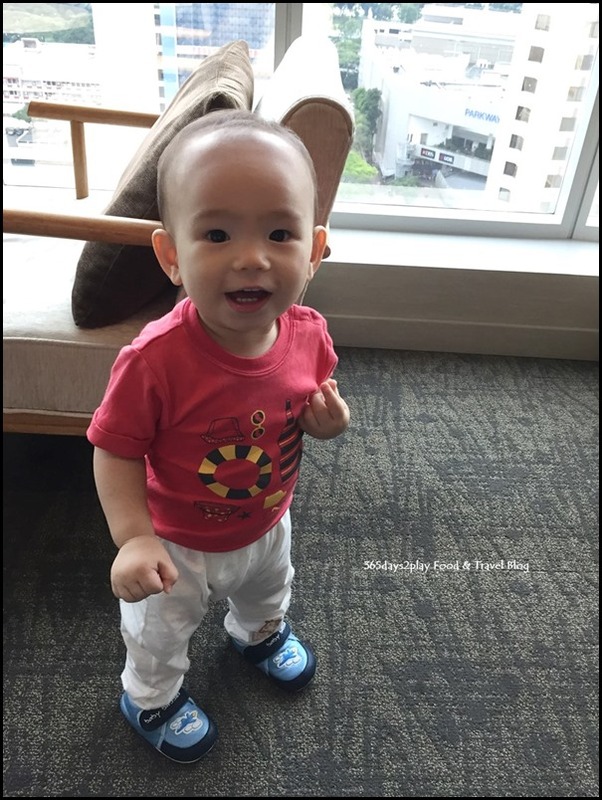 Check out his Ferrari romper, he looks so spiffy in that! And I love that bib which I brought back from NZ. 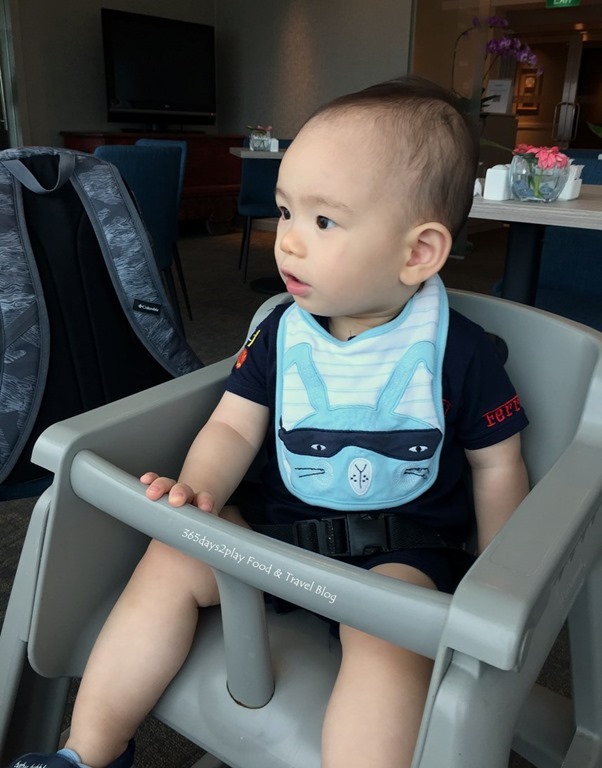 My favourite bib because it’s so cute!!!! 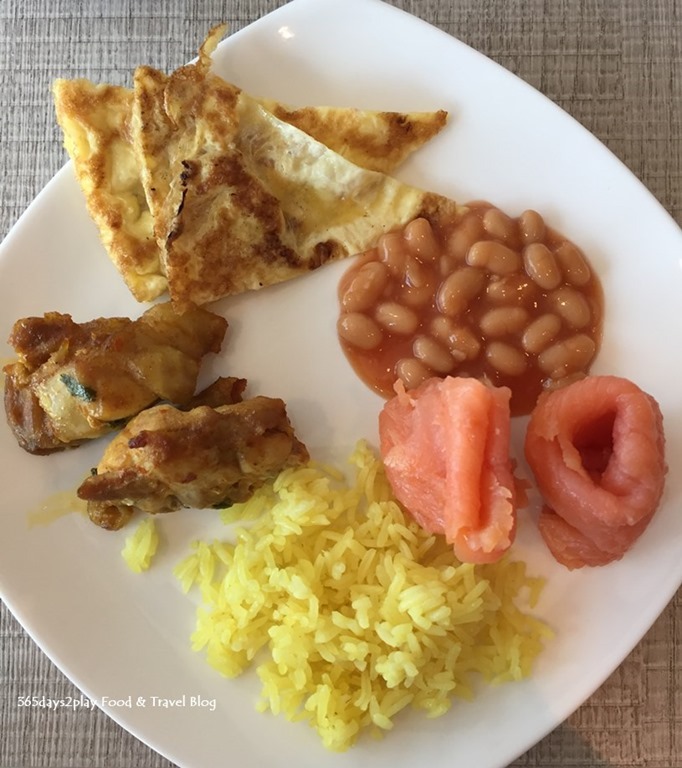 Breakfast is served at the Executive lounge for those staying in the suites, or you could go down to the Feast @ East Restaurant. 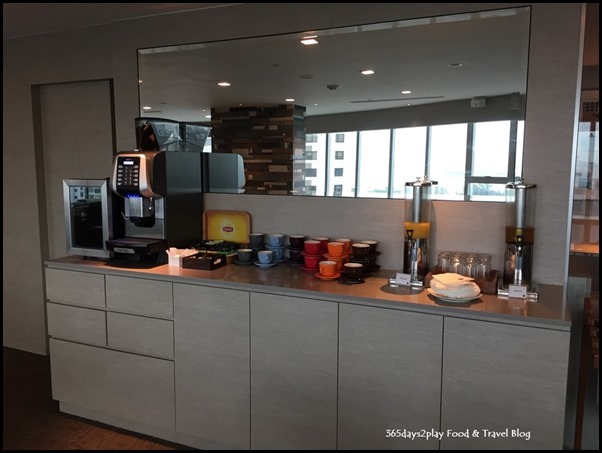 The spread at the Executive Lounge is usually smaller, and there are obviously no live-station orders such as made-to-order omelettes. 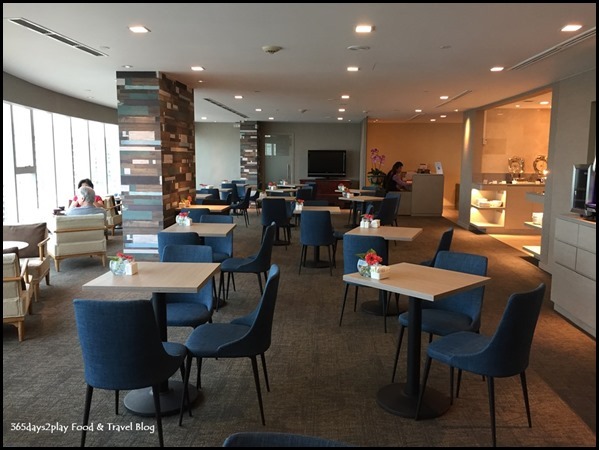 However, it can be more peaceful at the Executive Lounge. So it depends on your personal preference where you would like to have breakfast. After breakfast, we continued to lounge at the Executive Lounge with more tea and hot chocolate. 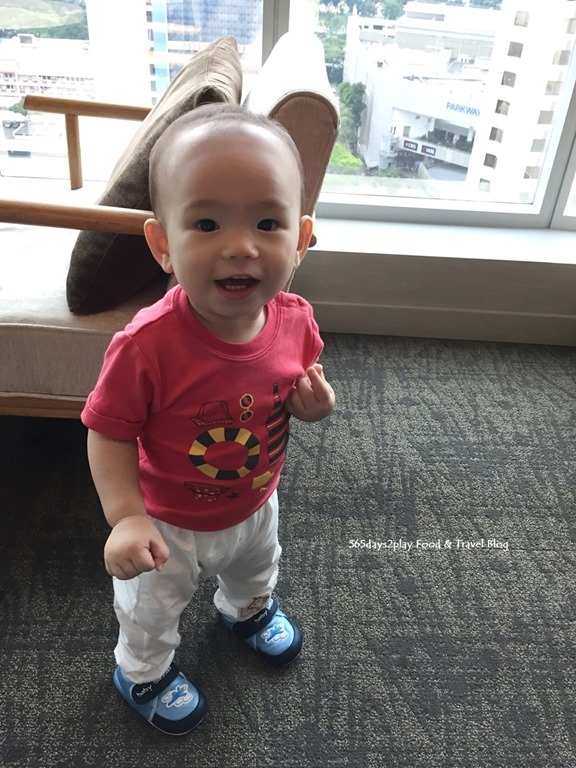 And pureed food for Baby since it’s just too difficult to prepare home cooked food while you’re on “holiday”. The banana was for him too! The “unhealthy” stuff was for the adults! 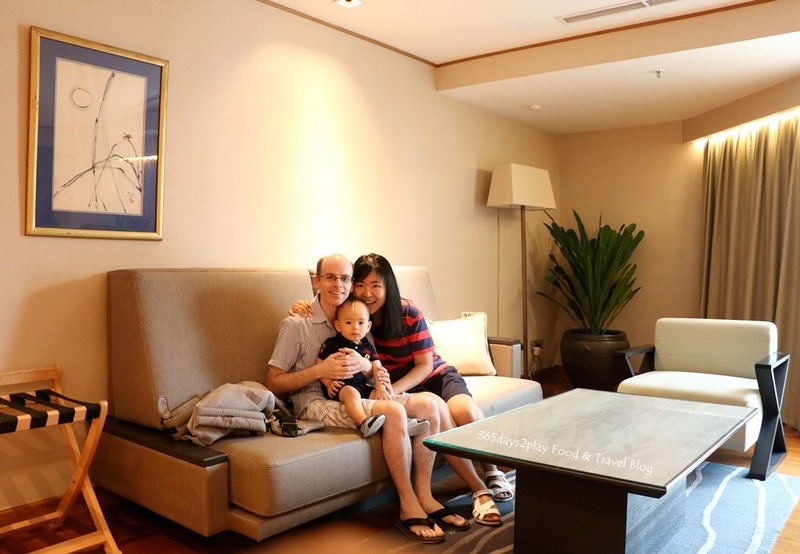 The 3 of us relaxing at the Executive Lounge! 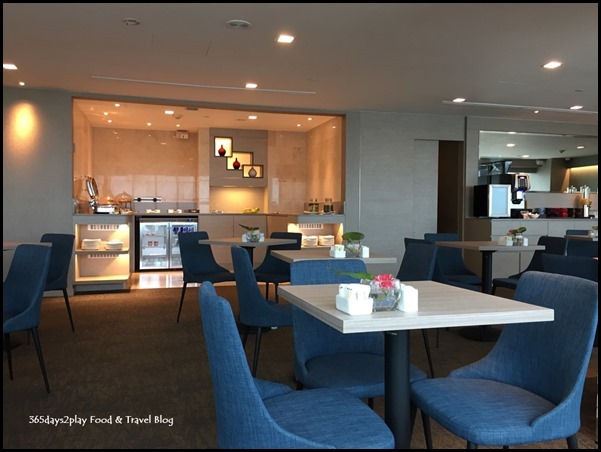 As I said, I would highly recommend getting Executive Lounge / Club Lounge access whenever you are on staycation, then you can just stay in the hotel all day! One good thing about Grand Mercure is that because it’s a 4 star hotel not located in the heart of Singapore, the room prices are more palatable so you can afford to upgrade to a room with Executive Lounge access! 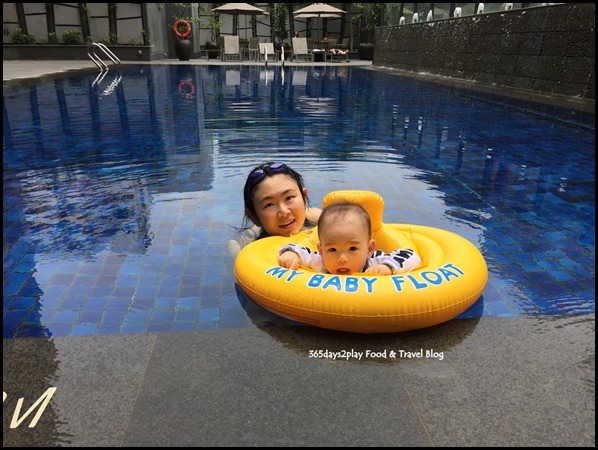 Read about my other staycations in Singapore with baby in tow! 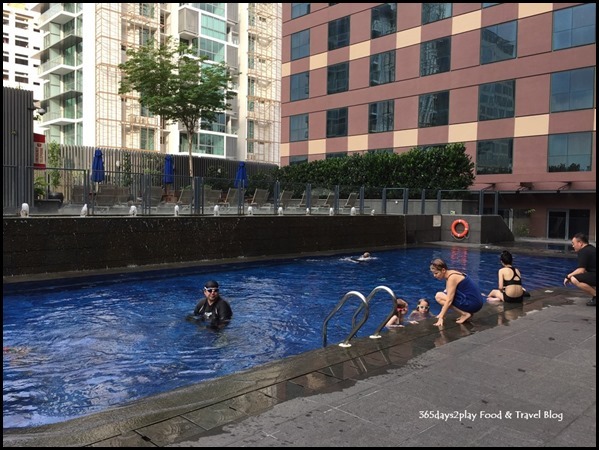 Thank You Grand Mercure Singapore Roxy for inviting me to check out your hotel! 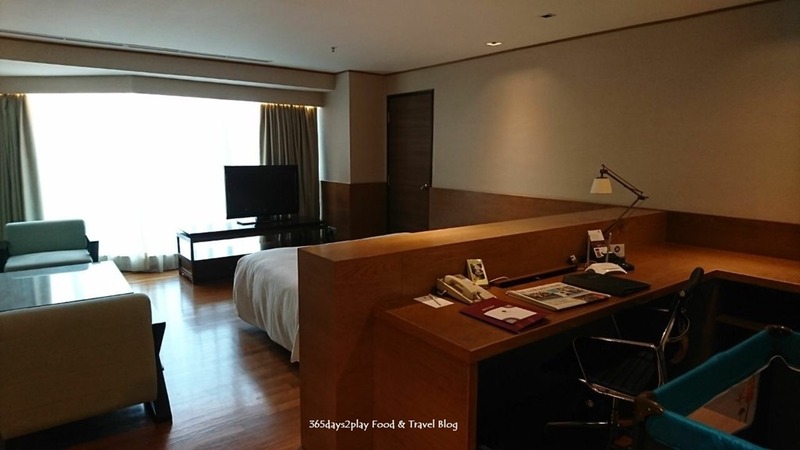 Now you too can have a chance to experience Grand Mercure Singapore Roxy for yourselves. I will be hosting a giveaway on my Facebook and the prize is a 2D1N stay in the Business Suite! Don’t miss out! 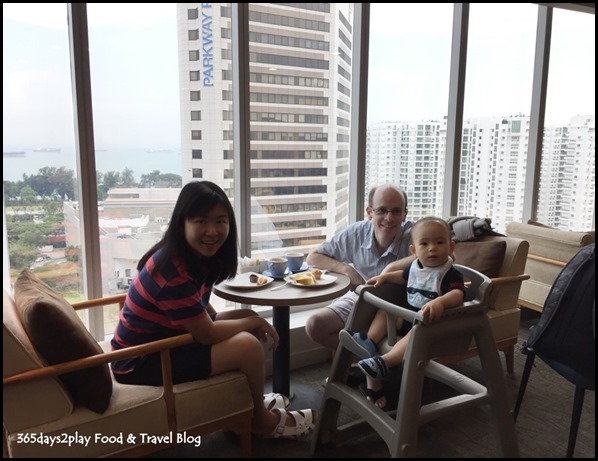 « What to eat at East Coast Park?